The Bogan Gate Community Memorial Hall has historically been the focal point of many important community activities, and last week received a welcome grant for its upgrade. “The funding of $13,536 would benefit the entire community,” said President of the Bogan Gate Community Memorial Hall, Ron Umbers. Member for Orange, Phil Donato MP announced the grant through the 2018 Community Building Partnership Program. The money will be used for a partial roof refurbishment. The local CWA, the Community Consultative Committee and other organisations use the hall on a regular basis, and many important community events are also held in the hall. Saturday afternoon is not usually a time to go to church, but the St George’s Anglican Church filled up with over 100 women last weekend for a fashion parade. Narelle Pizarro, Jennifer Calvert and Lindy Tanswell became models for the afternoon to showcase 17 creations of Carole Corbett, which were all for sale afterwards. “It was a lot of fun,” said Lindy Tanswell, who ended up buying the can can skirt she modelled with some flair. It was the men’s turn next when the Southern Cross Vocal Band from Sydney took to the stage for a performance of old gospel songs, much to the delight of the audience. The group first performed in Parkes at the Elvis Festival earlier this year, and they were invited back by Rev Ron Spindler for performances at the St George’s Church last weekend. The silver wear and polished tea pots came out next for a delectable high tea to end the afternoon on a social note. The event was organised by the Anglican Women’s Association of Australia, Parkes branch. 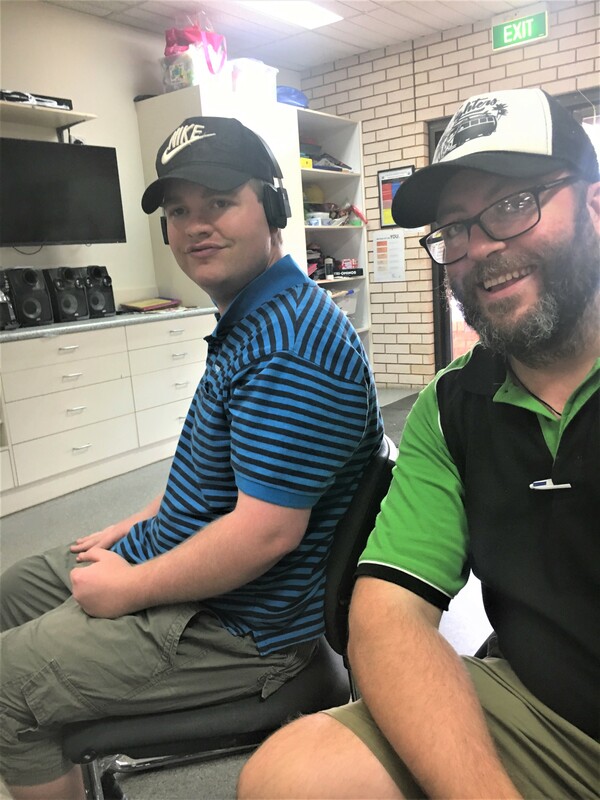 Doug Pout has not been at Currajong Disability Services (CDS) for long, but he is already making a huge difference in the lives of many. The CDS support worker is about to embark on a new mission to raise awareness for autism. “My partner Courtney and I thought we could make a difference so we registered as “Dougney” for the Autism Walk,” said Doug. The Walk for Autism is a free virtual walking event, which means you can do it at your own pace, in your own time. Challenge yourself to walk 10,000 steps a day for eight days from Sunday, 31st March to Sunday, 7th April to raise much-needed funds to support people on the autism spectrum. More information available at https://www.walkforautism.org.au/home or if you would like to support Doug or join him go to https://www.walkforautism.org.au/fundraisers/ Team-CDS. Thanks to Rotary’s End Polio Now campaign a lot more locals are now better informed about the virus. Seven cyclists and two escorts left Parkes on Sunday for Condobolin as part of a District Bike Ride organised by Rotary to raise awareness and funds for the campaign. Jenny said five years after WWII polio reached epidemic proportions in Australia, but since the vaccination of all children under five years new cases of polio are rare. Jenny said though that as it is a virus, it could be imported on the next plane as there are still countries like Nigeria, Afghanistan and Pakistan where it is common. Accompanying the riders on Sunday was the last remaining iron lung in Australia to show people what it was all about. countries like Timor Leste, Zambia and Uganda. Miriam Luyt (left) and Barb Thompson (right) were handing a supply of kits to Evelyn and Bill Shallvey (middle) at the recent Arts and Crafts showcase event in Parkes. Bill will be taking the kits to Timor Leste later this month. Author Talk: Adam Courtenay, the son of Australia’s best-loved storyteller Bryce Courtenay, will be at the Parkes Shire Library on Thursday, 11th April at 6pm with his new book The Ship That Never Was – an entertaining and rollicking account of the greatest escape in Australia’s colonial history. In 1828, James Porter was on a ship bound for Van Diemen’s Land. After several escape attempts, he found himself on Sarah Island, known as Hell on Earth. Few had escaped from Sarah Island but Porter pulled off an audacious escape. Adam is a Sydney-based writer and journalist who has had a long career in the UK and Australia. Come and enjoy an exciting new voice in the popular history genre. RSVP: 6861 2309, library@parkes.nsw.gov.au or in person by 9th April. Free Mental Health Support: Drought affected communities in rural and regional Western NSW can now access free mental health coaching support developed by Beyond Blue and delivered by Marathon Health. With many farmers, small business owners, workers and parents feeling the pressure, it is vital that people receive mental health support as early as possible. The NewAccess program was launched recently and is available to people over 16 years feeling stressed, anxious, isolated or struggling to deal with difficult work or personal life challenges. The program is available in person, by phone and via Skype and Facetime, making it easier for people living in rural areas to access quality support without long delays. Call for board members: The Central West regional arts development organisation Arts OutWest seeks applications from people with a range of skills and backgrounds interested in becoming members of their board. They’re looking to both the regional arts community and beyond the arts sector to fill three positions. Applicants must be based in the Arts OutWest region. Applications for board membership must be received by Friday, 3rd May. Details can be found on the artsoutwest.org.au website or call Tracey Callinan on 6338 4657. 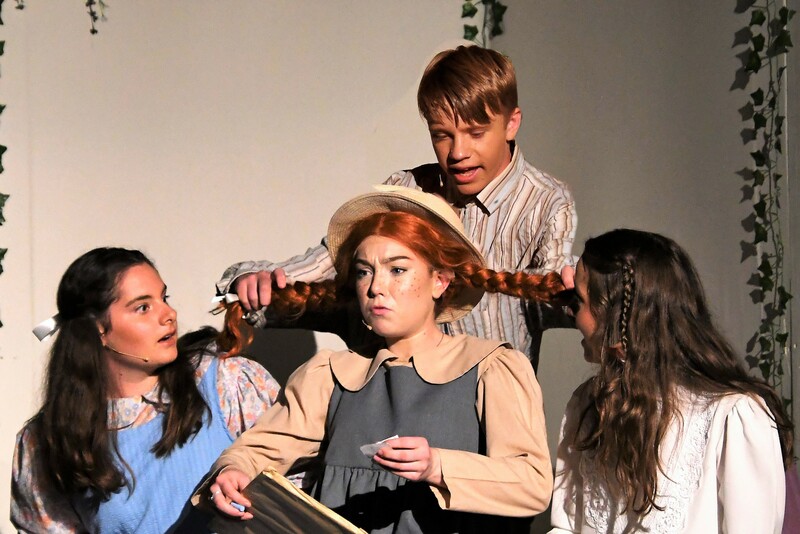 It is a tense week ahead for first time director Lisa Ramsay until the premier night next Friday of the Parkes Musical & Dramatic Society’s production of Anne of Green Gables The Musical. Although it’s been a very popular story for many people growing up, the musical has rarely been done in Australia. With a cast of 31 amateur actors with half of them teens and children, a lot of energy went into the production and managing everyone. Lisa said 17-year-old Krystal-Lee McMurray from Forbes, who plays Anne, had really stepped up in her role, as did the rest of the cast. Lisa is also grateful for musical director James Whalan for putting together a great band, for Jenny Kingham taking on the costumes and Ray Brown for the set construction. The heart-warming tale of Anne is suitable for all ages and told with lots of humour and tongue-in-cheek lines about small country towns. Lisa would love to see the whole community supporting local talent for the shows running until the end of April. Not many people get to celebrate their 90th birthday, let alone celebrate it with the launch of their fourth published book! Life has not slowed down for local author Margaret Dwyer when she left her family home in Elizabeth Street nine months ago to move into the retirement village at Southern Cross. She immediately started working on the sequel to her first fiction book, A Chain of Dreams, published in 2016 after so many readers had asked when she was going to write more. During the day Margaret has to keep a diary for her busy schedule attending VIEW Club meetings, playing the piano at the Southern Cross Village sing-a-longs and at mass, and various medical appointments while still driving herself. After only nine months she finished The Unbroken Chain bringing the O’Reagan family into the 21st century where marriage is no longer a given, living together is the norm, young adults live on the streets and drug use results in the escalation of crime. Margaret’s new book will be launched by Councillor Bill Jayet on 27th April at the Coachman Motor Inn at 2pm. Everyone is invited to see Margaret cut her 90th birthday cake at this auspicious event. The Parkes Aero Club received good news from Member for Orange, Phil Donato MP, last Friday when he announced the club’s successful application for funding through the 2018 Community Building Partnership Program. “I’m thrilled to announce the Parkes Aero Club will receive $20,000 to enable them to build a new awning on the Clubhouse building,” Phil said. “The awning will provide year-round protection from the elements and give us an outdoor social space,” said Warwick Tom, public officer of the club. Baroness Gardner of Parkes is the only Australian woman to date who has been elevated to the peerage, and only the second life peer who has taken a name from a place outside the United Kingdom. “It was a huge battle to get Parkes in her title and Trixie Gardner even had to get permission from the Queen,” said a representative of the Baroness who visited Parkes in January doing research for her autobiography to be published later this year. The Baroness is the daughter of Greg and Rachael McGirr and was born in Parkes as one of nine children. Her sister is Clarinda who died at a young age and the fountain in Cooke Park was erected in her memory. “The Baroness is very passionate about the Clarinda Fountain, and I am sad to report that it is not in a good state,” said the representative who preferred not to be named. 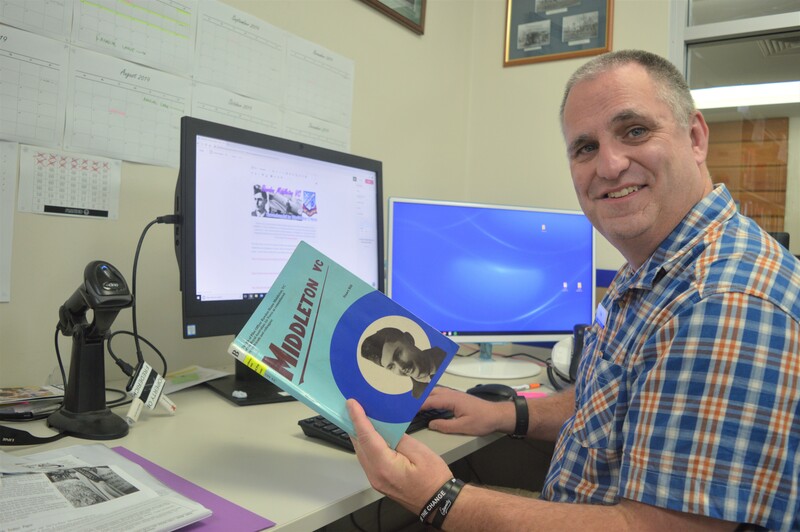 She said it would be wonderful if it could be restored to coincide with the launch of the autobiography, as the McGirr family was so important to the history of Parkes. The family helped with the establishment of Memorial Hill and parts of Cooke Park. The representative said if the Baroness, who turns 92 in July, was fit enough she might travel to Parkes to launch her autobiography here. Trixie Gardner earned a Bachelor of Dental Surgery (BDS) in 1954 from the University of Sydney and moved to the UK in 1957. She was a councillor of Westminster City Council, Lady Mayoress (when her husband was Lord Mayor), in 1970 she stood for Parliament for the Conservative Party, and he was elected as a member of the Greater London Council (GLC).